Recently, Microsoft released Windows 10 insider build 15002 to Fast ring members. This latest build brought bunch of new features including a Blue Light option, Theme Management, and Cortana improvements. However, there is also a new ‘Dynamic Lock’ feature, which Microsoft skipped in its build 15002 changelog. Microsoft’s Windows 10 Dynamic Lock feature will bring more security to your PC. 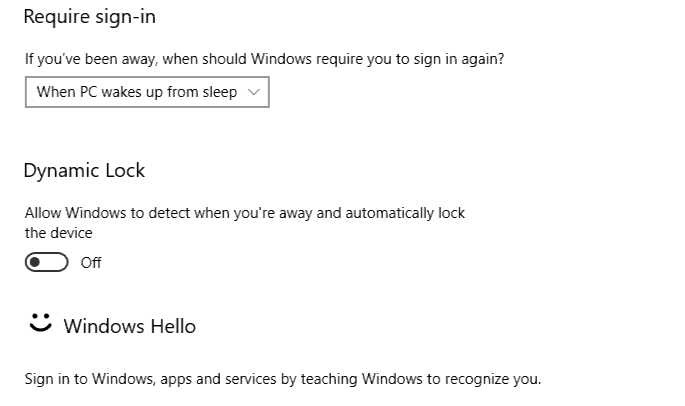 The feature will lock your device when you step away from your Windows 10 computer, with the help of Windows Hello technology. The feature might use facial recognition or an iris scanner to properly identify when a user is present and when they leave. However, there is no official information regarding the feature yet. Naturally, these are all just ideas at this point, how this feature might work. Microsoft will bring this new feature and other features with Creators Update in April 2017. Check out what’s new is coming with Windows 10 Creators Update.